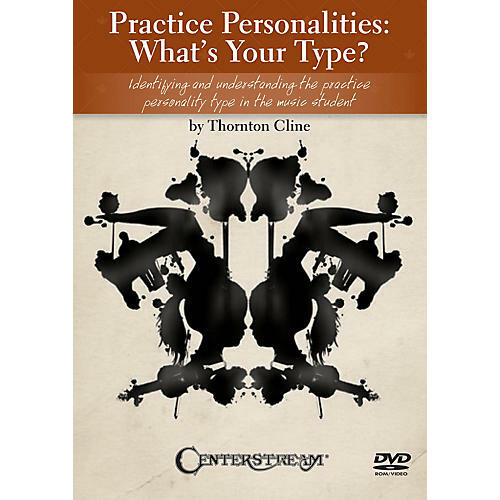 In this DVD, a companion to the bestselling book of the same name, Thornton Cline discusses the challenges and benefits of correct practicing. Cline reveals the nine practice personalities he has discovered through interviews with more than 1,000 music students and over 25 years of teaching experience. Students representing the nine practice personalities perform on their instruments and are interviewed. These interviews offer valuable insight into the hearts and minds of these personalities. The four master teachers interviewed in Practice Personalities (band director, woodwind, brass, percussion) share their effective strategies and practice ideas. Practice Personalities is a must for parents, teachers and students who wish to identify the personalities of those studying music, to help apply the most effective teaching strategies for each personality. 60 minutes.